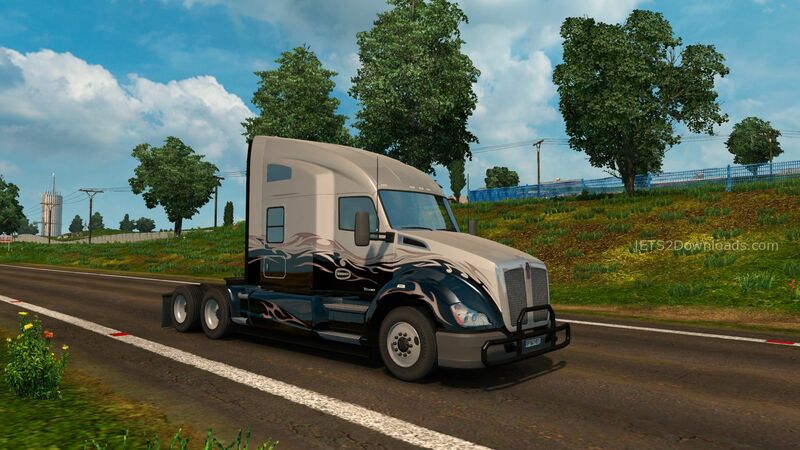 This Kenworth T680 is a converted mod from ATS with full sounds, paintjobs and also tuning parts. You can find it in every Scania Dealer! 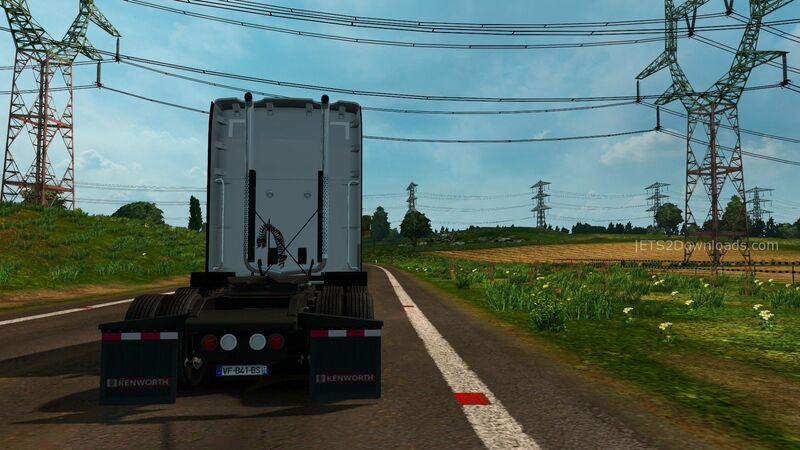 Note: If your game crashes when you add the left mirror of this truck, please try to use this hotfix. Added to the Quick Job menu. WARNING: THE DIGITAL DASHBOARD ISN’T WORKING. DON’T HIT THE I KEY OR YOUR GAME WILL CRASH. This mod is certainly functional, including the goods and the bads. 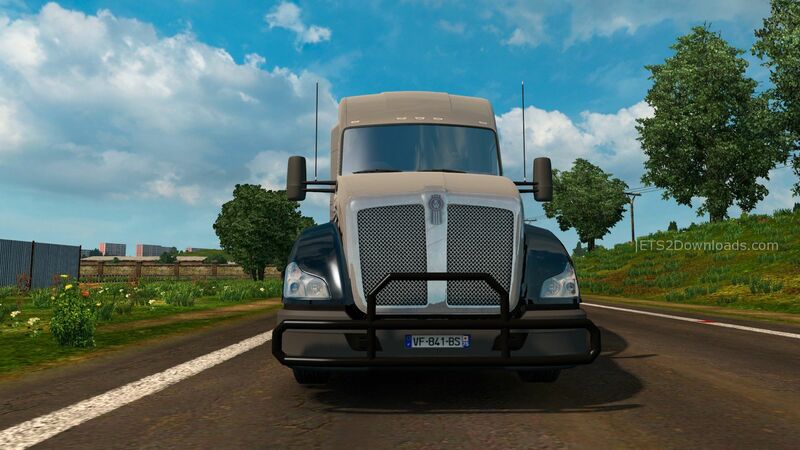 The good is this’s an official SCS-made truck, that was (for the most part) well ported from American Truck Simulator. The bad’s the aforementioned game-crashing digital dashboard, and the lack of accessories and more powerful engines. 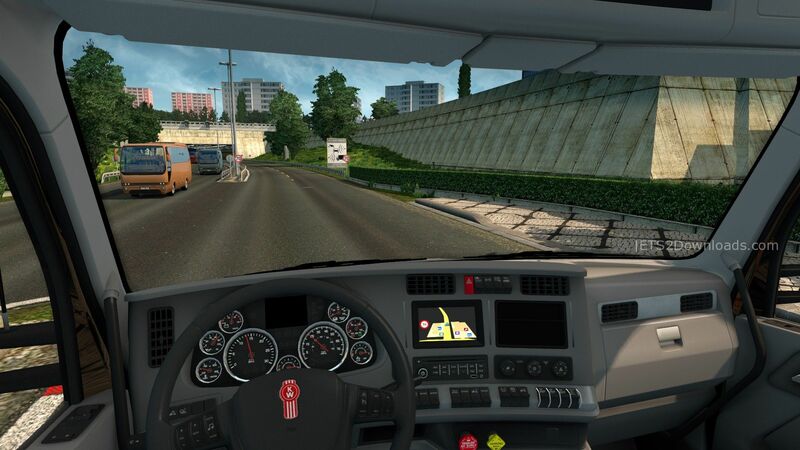 Also, depending on the map mod you’re using, the long-nosed trucks may not be able to go through some road tolls, as the paying zone’s way too close to the toll barrier. It’s another good truck that’s plagued with a somewhat rushed port.